IBPS has published the Provisional Allotment under Reserve List of IBPS CWE Clerks VII. 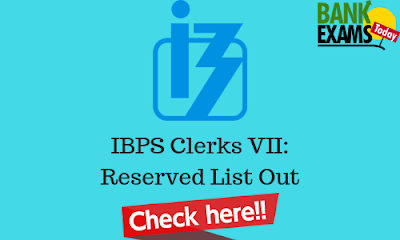 Click Here For IBPS CWE Clerks VII Reserve List. Commencement of Result:- 31 - 03 - 2019.